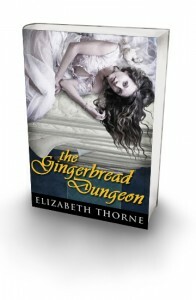 The Gingerbread Dungeon collects the stories of a group of fairy tale characters who don’t want to be rescued from the dungeon; they want to be ravished there. In “Sensitive,” a prince would do anything to avoid marriage until he meets a princess with tender skin and dark desires. In “Upbraided,” Rapunzel’s uptight parents lock her away but her magical hair draws the woman of her dreams through the tower window. In “Discipline,” Goldilocks falls in with three bears and learns that love can take very unexpected forms. In “Boots,” the Marquis de Carabas is born under the whip of a princess, with the help of his servant’s cunning plan.